LA rockers Dum Dum Girls are a week into their tour behind their latest LP, Too True, with plans to hit up Nashville next Tuesday (March 18th and yes, I’ll be there and you should be too). 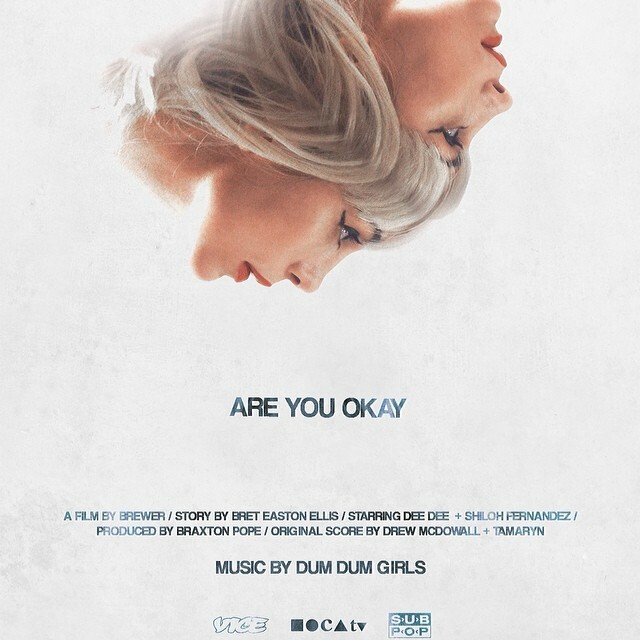 Before they hit the road, they dropped a very strange video for their new single, “Are You Okay?” The story was written by American Psycho/Less Than Zero author Bret Easton Ellis, and is essentially a psychological thriller that’s equal parts fascinating and frightening. As with most of the stuff that Ellis is involved in, you may like it or you may hate it, but goddamn does he make sure you won’t forget it. Take 9 minutes and make up your own damn mind below.